Baseline Records superstar Raoul John Njeng-Njeng otherwise known as Skales paid a courtesy visit to popular secondary school Christ the King International School situated in Gbagada area of Lagos today; Thursday, March 23, 2017. 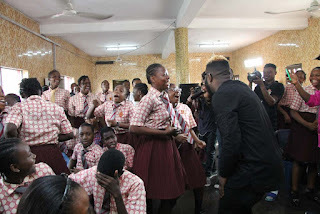 The singer visited the school in the early hours of the day and received a warm welcome from the students as they gathered in the school's auditorium. Shortly after receiving their guest, the school's alumni president Adedayo Obatola addressed the students before ushering Skales to address them as well. The singer went on to share his story with the enthusiastic students - narrating his humble beginnings and how imperative focus and dedication is in every young person's life. Skales went on to describe the ups and downs of his beginnings, further asserting life isn't always a bed of roses - indicating why education should always come first and should be every young person's priority. The 'Ajaga' singer further elaborated on his journey and how he came to be a successful artist that he is now; stating his career however didn't preclude him from pursuing his education as he eventually attained two separate degrees in higher institution; both in Business Administration and Banking and Finance. 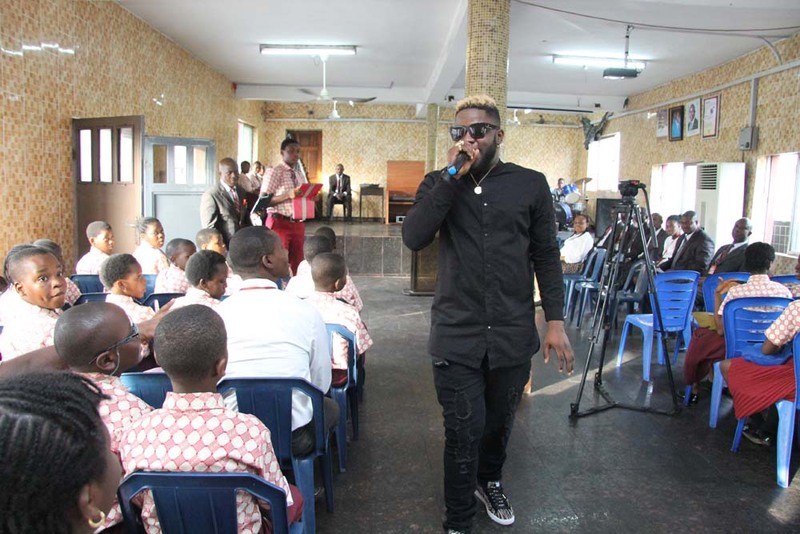 Skales moved on to perform his 2015 smash hit 'Shake Body' on the request of the students, before performing his latest club banger 'Temper' featuring Burna Boy to which the students danced merrily. 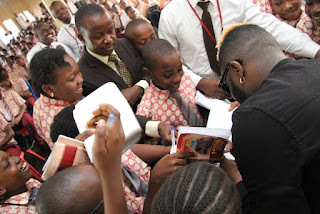 A number of students surrounded the singer as they excitedly clambered and beseeched for his autograph signing to which he politely obliged. 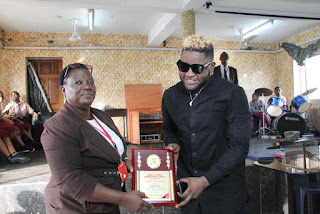 The school's authority thanked Skales and presented him with an honorary plaque before the school's head girl delivered a heart-warming speech on behalf of the entire students; fervently thanking him for honouring them by paying a visit, as well as encouraging and motivating them. 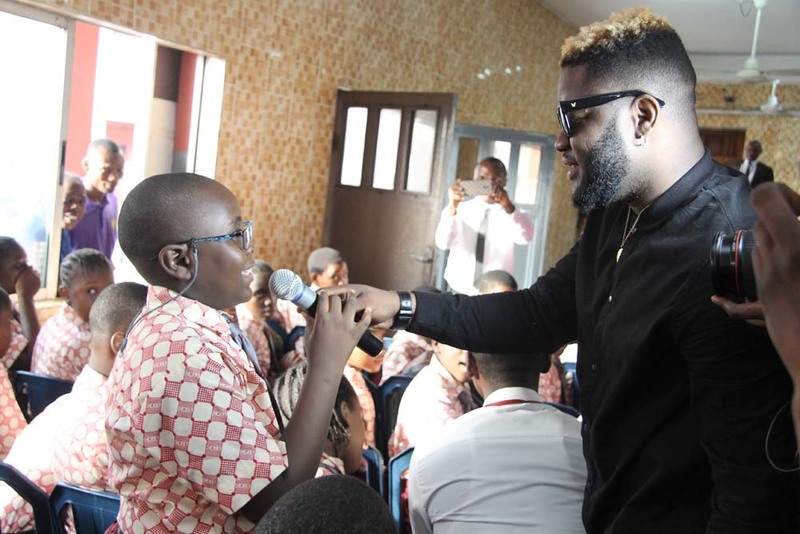 Skales has described the visit as an effort to spread the message of positivity embodied in his upcoming album 'The Never Say Never Guy' scheduled for release sometime in April, 2017.